Features Homemade healthy treats enhanced with doTERRA CPTG essential oils. To all our dear friends in Santa Rosa Beach, FL, New York City, Louisiana, North Carolina and beyond- we extend our heartfelt gratitude for your kind support of Special Olympics. 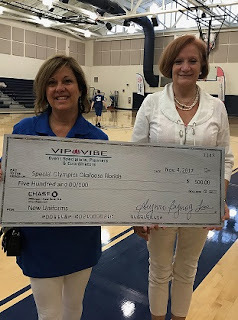 With your help we were able to present our local Ft. Walton – Okaloosa County Team with a check for $500 which will go toward funding the team’s new uniforms. We all had so much fun working on this event. In fact, we had so much fun that we are already in the beginning stages of planning another one in the new year. I look forward to sharing some of those details with you soon. Also, your kind sponsorship and support of Decadent Healthy Chocolate and doTERRA CPTG, essential oils is much appreciated as a portion of those sales proceeds goes to funding the needs of our team. 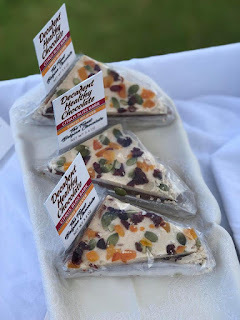 Decadent Healthy Chocolate's- CPTG - Citrus Bliss Milk Bark Stress Reliever - sure beats anxiety! Dark & White Peppermint Bark - High Menthol Content Promotes Healthy Respiratory & Mental Focus. 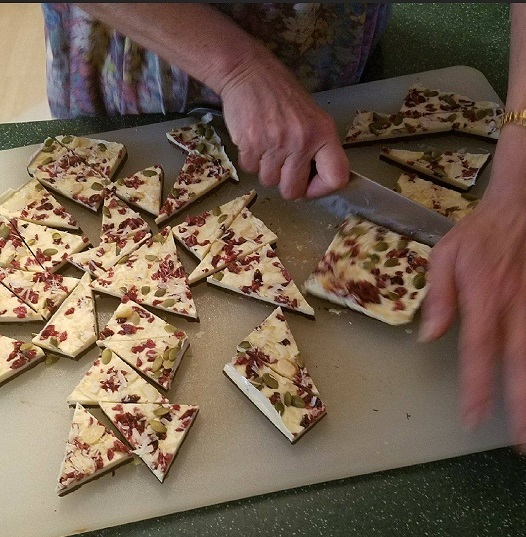 I like to make divinely inspired healthy treats and foods. So I came up with the very first ever guilt free Decadent Healthy Chocolate. I know, it sounds like a misnomer, right? But, I can promise you that this is a morsel of melt in your mouth and not in your hand chocolate experience that you have never indulged in before. It is a pure, Eureka Magic moment! And, what’s even better than this pure culinary delight is that a percentage of all my sales goes to support our local Ft. Walton County Special Olympics. So please subscribe for your FREE chocolate sample on this blog today & please join me in supporting Special Olympics.